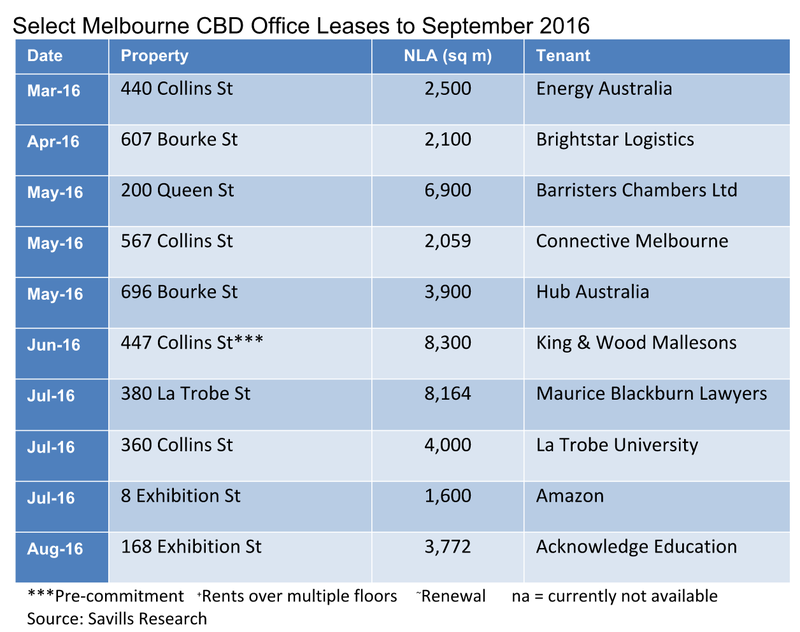 Improving economic conditions are driving continued improvement in the Melbourne CBD office leasing market, with 363,592 square metres of space leased in central Melbourne up to September 30. Savills reported that this is an increase of 79 per cent since the previous corresponding period, and 25 percent above the prior five year average of 289,330 square metres. Savills Associate Director Monica Mondkar said Victoria’s economy is expected to grow at 2.8 percent in 2016/17 - the highest amongst all Australian states and above the national average of 2.7 per cent. "Victoria’s economy continues to purr along nicely with the strongest population growth in the nation and a major projects program that is driving employment growth, as well as office leasing with project management teams moving staff into the CBD. "We expect this economic trend to continue with business optimism boosting growth in tenant demand, resulting in a higher level of leasing activity in the near term,’’ she said. Melbourne CBD’s white collar employment grew by 11,600 workers from 2011 to 2016, and is forecast to rise by another 36,000 workers over the next five years. The research found backfill space, at 204,487 square metres – up 109 per cent over the past year - accounted for 56 per cent of the leasing activity. "The market has definitely continued to improve over the course of 2016 and especially since the election and while we expect the dramatic rise in the leasing of backfill space to be tempered in the medium term by a gradual return to equilibrium in the market, the outlook is generally positive," Savills Director of Office Leasing Phillip Cullity said. Government and Community were the dominant tenant sectors, leasing 32 per cent of the stock, or 114,608 square metres over the 12 months. 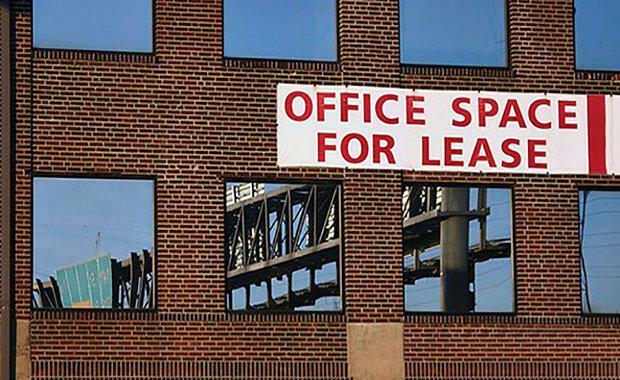 Property and Business services was second, accounting for 20 per cent of the total office leasing activity. Ms Mondkar said tenant demand over the next year was expected to be driven by the Healthcare, Finance and Insurance and Government sectors, which are forecast to grow at six per cent, 5.4 per cent and 4.1 per cent respectively. "CBD rents now typically range from $450 to $600 a square metre for A Grade quality stock, and between $350 and $410 a square metre for secondary grade buildings. "Rents delivered some growth with the average A Grade rent recording a 7 percent increase over the twelve month period."